Maybe the neighbors are happier this way, but we happen to like our noisy engines. 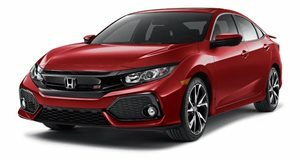 With all the recent talk of the Honda Civic Type R’s technology, or rather, its lack of technology—abstinence only being used in order to keep the package lightweight—it’s natural to be left wondering what Honda engineers decided to leave on the car in order to make it more special. Surely it can’t just be a sublime chassis, a 2.0-liter turbocharged engine, and a weight-saving manual gearbox, right? Right, or at least that’s what Honda spokesman Kotaro Yamamoto told Car Advice in regards to the exhaust system. His explanation is important for those barstool nerds who want to argue about why Honda went for the three pipe exhaust system. To the outside eye, it may look like a cool design feature intended to make the Type R look more badass than the lowly Civic Si. Thing is, the system is not intended to make the Type R louder. Quite the opposite, in fact. Instead, it makes the turbocharged four-cylinder engine sound better by silencing it. “We’re trying, basically, to enhance the good sound and eliminate the bad noise,” Yamamoto said. To do this, Honda allowed the middle pipe to act as a resonator, making it a smaller diameter than the two flanking exhaust pipes and aligning it apart so it doesn’t sit flush with the larger cans. At low to moderate RPM, the middle pipe acts as a normal exhaust pipe, emitting fumes and “creating a distinctive and sporty engine sound,” according to Yamamoto. “But at high RPM, we managed to create or generate a negative pressure on the centre tail-pipe, just by thermodynamics, without using any flaps or valves – just by the layout and the diameter of the pipes, by the location of where they’re attached,” he said of the Civic Type R's tail-pipes. The purpose of this is to eliminate the booming noise that resonates within the cabin at highway speeds. Car Advice speculates that customers complained about this in the previous Type R, but it won’t be an issue this time around. “By creating a negative pressure in the center tail-pipe, we can shift the frequency to another band so that it will not resonate within the cabin, and by this measure we can reduce the booming noise.” Enthusiasts wondering if this means the Type R will be too silent at speed need to relax because noises on the rest of the frequency band are still present. Honda’s alteration is a seemingly small change that should make the Type R easier to live with as a daily driver.